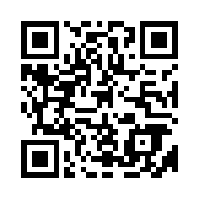 ← Send a Card from the Tin! I’ve been stamping like crazy lately, but it’s all been for things other than my blog. I’ve made several sympathy cards, but it just seems a little disrespectful to post them here. I know there’s nothing wrong with it, but it feels weird to me, especially since they were for close friends. 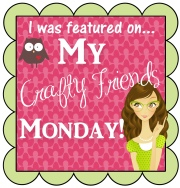 I also got a message on Tuesday asking if I could do a project for Craft Project Central for July. Of course, I said yes, and I totally love what I made. It’s one of my favorite projects ever, but you’ll have to wait until the end of July to see it. 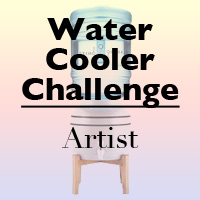 And I’m working on several designs for our Watercooler Challenges (check in on Sunday to see the newest!) – but, again, I can’t post them yet. On top of all that, she was here when I started taking samples that used retired stamps off my display boards. I mentioned how bare the the boards were – so she also brought about 10 samples for me to display. How sweet is that? So here’s one of them. Note that even though it has my watermark, it’s Christy’s card all the way. Isn’t this cute? I love the colors, which I’m guessing are Tangelo Twist and Night of Navy. The Thank You is from the photopolymer set, Another Thank You, and the stars are from…well, I don’t know where the stars are from. My New York friend Susan used to say we need stars!!! 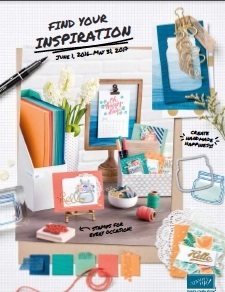 – and Stampin’ Up! must have listened, because I’m seeing stars everywhere. These may be from a Paper Pumpkin kit. Maybe. I’ll ask Christy, who can point to any project and tell you what products were used, even if she didn’t make it. The Thank You panel is “emboss resist.” The Thank Yous are embossed with either white or clear powder on Whisper White cardstock, and then ink is sponged around and over the embossed area. It’s a real “Wow!” in a workshop or class, I think. There’s just something magical about seeing that powder melt. So, thanks, Christy! You’re the best! I have at least three thank you cards to go out this week. (But I can’t send this one. I need it for the board. Maybe I’ll CASE it. Think Christy would notice? Yeah – probably.) I had kind of committed to send at least one greeting card each week to someone this year. It was a great “resolution” – although it was a personal goal, not a New Year’s Resolution – but I kind of fell down on the job. Well, the past two weeks, I’ve sent about 10 or more, so I think I’m caught up. Thanks for stopping by Stamping with Buffy. Have a wonderful day – and I hope you’ll look for something today to be grateful for! 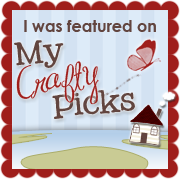 This entry was posted in Another Thank You and tagged Another Thank You, Buffy Cooper, card making Winchester VA, Emboss Resist, friends, Hearts & Stars Decorative Masks, paper crafts, Rubber Stamping, stampin' up, Stampin' Up! Demonstrator Winchester VA, thank you cards. Bookmark the permalink.